Sound attenuated chamber utilized to elicit audiogenic seizures in rats. 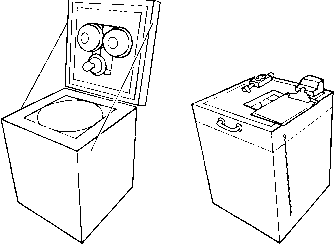 The chamber is drawn with the hinged lid open and closed. The open chamber reveals the inner cylindrical metal chamber 40 cm in diameter by 50 cm in height in which the rat is placed. Two electric fire bells, a light, and an observation window are located on the inside of the lid. The observation window, timer, and switches for the light and firebells can be seen on the closed chamber lid. on the stopped timer, and records the seizure severity score. If the subject fails to exhibit any audiogenic seizure response within 90 s, the audiogenic stimulus is discontinued and the animal is considered to be nonsusceptible. 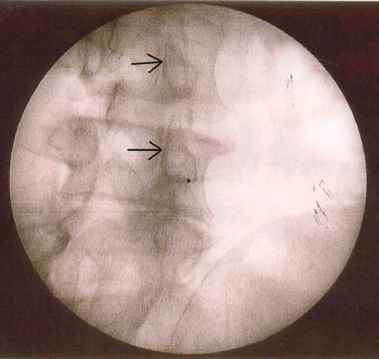 The most reliable end point for the onset of convulsion is the brief tonic forelimb flexion described below that immediately precedes the generalized clonic or tonic convulsion. When training new technicians, it is better to allow them to continue the stimulus presentation beyond this end point to the clear onset of generalized clonus or tonus until they are comfortable in their ability to recognize the onset of the brief tonic forelimb flexion. Technicians will soon recognize that as forelimb flexion begins, the running phase slows as the animal plows forward, driven only by its hindlimbs. However, even an experienced investigator can be fooled when testing anticonvulsant drugs, as some can slow the running phase or can actually produce a pause in the running phase which may reflexively cause the investigator to terminate the stimulus. When training technicians, it is best not to allow technicians to train technicians. Rather, the investigator should train all new personnel to prevent erosion of the audiogenic screening method. This is particularly true in the case of the rat audiogenic seizure rating scale described below, which makes distinctions between the degree of tonic extension. Following this audiogenic seizure screening protocol results in extremely reproducible evaluation of audiogenic seizures between laboratory personnel and even different laboratories.